﻿Chinese Massage, Acupuncture, Cupping etc are all part of Traditional Chinese Medicine (TCM) which is ﻿one of the world's oldest medical systems and all are still widely practiced today. TCM is a unique and independent medical system which originated in China and developed down through the centuries imbued with the spirit of Chinese civilization and culture. For thousands of years, TCM has played a major role in maintaining the health of Chinese people. Chinese Medicine was established through centuries of clinical practice and following countless failures, taking a very long time from the beginning of the practice of Chinese Medicine to the establishment of a complete medical system. Although the recorded evidence for TCM reveals its origins to be just over two thousand years ago, its social history, traditions and roots predates this, making it a fundamental part of Chinese civilization. Through the Silk Road and other cultural exchanges, Chinese Medicine was exported to Europe and other continents hundreds and indeed thousands of years ago, being practiced in more than 100 countries around the world and influencing the development of many other treatment regimes in regions outside Asia. The influence of Chinese Medicine on other alternative medicines (including homeopathy, naturopathy, chiropractic, physiotherapy, etc.) can potentially be much more profound and significant than most people realize. Chinese Medicine is now in a leading position in the Complementary and Alternative Medicine (CAM) world and serves the largest CAM patient population in the world. 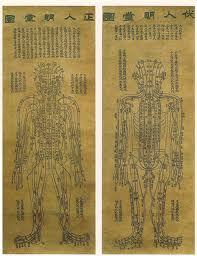 Today, the term "Chinese Medicine" refers not only to the Chinese Medicine practiced inside China (as the word "Chinese" has lost its original regional or ethnic meaning) but has become an abstract term representing a system of treatment known and practiced around the globe.